At the start of every Spring semester we come together as a community to honor the civil rights legacy of Rev. Dr. Martin Luther King Jr. This year’s MLK Commemoration will be held on Wednesday, January 23rd from 12:15 pm -1:15pm in Crowell Concert Hall, followed by a reception in Beckham Hall. This year our keynote speaker will be award-winning author and Associate Professor of Educational Theory & Practice at the University of Georgia, Dr. Bettina Love. Dr. Love is one of the field’s most esteemed educational researchers in the area of Hip Hop education and is the author of the book We Want To Do More Than Survive: Abolitionist Teaching and the Pursuit of Educational Freedom (Beacon Press). 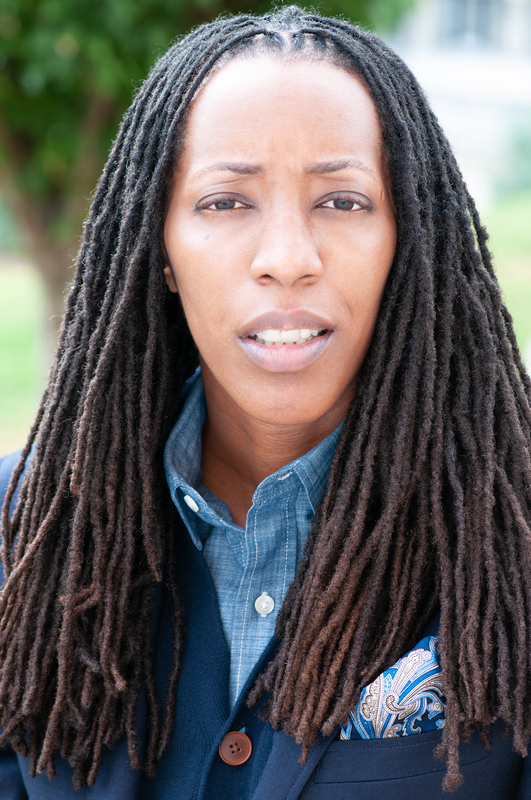 Her research focuses on the ways in which urban youth negotiate Hip Hop music and culture to form social, cultural, and political identities to create new and sustaining ways of thinking about urban education and intersectional social justice. Her work is also concerned with how teachers and schools working with parents and communities can build communal, civically engaged schools rooted in intersectional social justice for the goal of equitable classrooms. For her work in the field, in 2016, Dr. Love was named the Nasir Jones Hip-Hop Fellow at the Hutchins Center for African and African American Research at Harvard University. She is also the creator of the Hip Hop civics curriculum GET FREE and in 2018, Georgia’s House of Representatives presented Dr. Love with a resolution for her impact on the field of education. Dr. Love's talk is entitled “What Came Before & After King: Abolitionist Teaching & Life," and will focus on the struggles and the possibilities of committing ourselves to an abolitionist goal of educational freedom, as opposed to reform, and moving beyond what she calls the educational survival complex. Abolitionist Teaching is built on the creativity, imagination, boldness, ingenuity, and rebellious spirit and methods of abolitionists to demand and fight for an educational system where all students are thriving, not simply surviving. Dr. Love will also be hosting a workshop on Wednesday (1/23) at 9:00am centered on helping students and educators with the process of acknowledging, reflecting, critiquing and moving toward practical goals to challenge and transform social injustices within the classroom context. Supervisors are asked to allow their staff members to attend this workshop and encourage them to actively participate in the events of the day. If you are interested in attending this workshop, please fill out this form by December 17th at 12noon. Space in the workshop is limited and priority will be given to having a diverse representation of campus stakeholders (students, staff, faculty, and community members) take part in the event. Confirmations will be emailed by Dec. 21st. If you have any questions about the event, please don’t hesitate to contact Demetrius Colvin at dcolvin@wesleyan.edu.